Nikki is using Smore newsletters to spread the word online. Human civilizations have harnessed wind power for thousands of years. Early forms of windmills used wind to crush grain or pump water. Now, modern wind turbines use the wind to create electricity. Today’s wind turbines are much more complicated machines than the traditional prairie windmill. A wind turbine has as many as 8,000 different components. Wind turbines are big. A wind turbine blade can be up to 260 feet long, and a turbine tower can be over 328 feet tall -- taller than the Statue of Liberty. Higher wind speeds mean more electricity, and wind turbines are getting taller to reach higher altitudes where it’s even windier. Most of the components of wind turbines installed in the United States are manufactured here. There are more than 500 manufacturing facilities located throughout the United States, and the U.S. wind energy industry currently employs more than 50,000 people. The technical resource potential of the winds above U.S. coastal waters is enough to provide more than 4,000 gigawatts of electricity, or approximately four times the generating capacity of the current U.S. electric power system. Although not all of these resources will be developed, this represents a major opportunity to provide power to highly-populated coastal cities. The United States generates more wind energy than any other country except China, and wind has accounted for 33 percent of all newly installed U.S. electricity generation capacity over the last seven years. 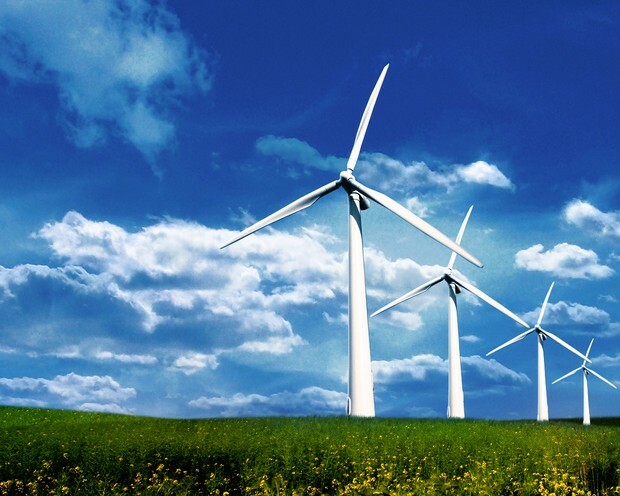 The United States’ wind power capacity reached more than 61 gigawatts by the end of 2013. That’s enough electricity to power nearly 16 million homes annually -- more than the total number of homes in the entire state of California -- and represents nearly a 20-fold increase in capacity since 2000. Wind energy is affordable. Wind prices for power contracts signed in 2013 and levelized wind prices (the price the utility pays to buy power from a wind farm) are as low as 2.5 cents per kilowatt-hour in some areas of the country. This is the lowest ever price recorded by the Energy Department’s annual Wind Technologies Market Report. Wind has the potential to supply the country with abundant amounts of clean, renewable energy, but continued support for favorable clean energy policies, such as the Production Tax Credit, is critical to achieving this target. To set the stage for future growth, the Energy Department is developing a new Wind Vision for the future of wind power research, development and deployment throughout the United States.